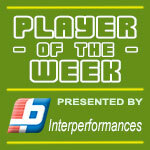 American Guard Dontarion Wright (190-G) put on an amazing game in the last round for Rebels, receiving a Interperformances Player of the Week award for round 2. 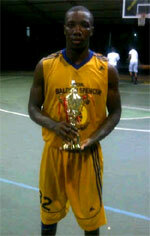 The player had a double-double of 30 points and 16 rebounds, while his team beat Freetown T. (1-1) 72-61. Rebels is placed at 3rd position in Antiguan ABBA. Rebels is a typical solid league team placed somewhere in the middle or a little bit lower in the standings. They need more victories to improve their 1-1 record. Wright turned to be Rebels' top player in his first season with the team. Former Le Moyne - Owen College star has very solid stats this year. Wright is in league's top in points (2nd best: 28.0ppg), rebounds (7th best: 11.0rpg) and averages impressive 3.5spg. The second best player in last round's games was Cohen Desouza (G) of Yorks Crushers. Desouza had a very good evening with a double-double of 23 points and 16 rebounds. It was enough for Yorks Crushers to edge Potters S. (0-1) 82-76. The season is still at the very beginning and this victory may help a lot. Let's wait for the next round. Desouza is a newcomer at Yorks Crushers, but is already one of team's top players. Third on the list of top players last round was American guard Joshua Minner (198-G-90) of league's second-best Cutie Ovals Ojays. Minner scored 29 points and grabbed six rebounds. 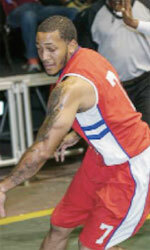 He was a key player of Cutie Ovals Ojays, leading his team to a 87-77 win against Stingerz (#10, 0-1). Cutie Ovals Ojays has a very good start of the season. But there were just 2 games played, so it's too early to judge them at this stage. Minner also has a very good start of the season with very strong stats. Minner has a great season in Antigua. After only 2 games, he made it on the list of the league's leaders in points with 29.0ppg (best scorer).